Even since our trusted floppy disks retired from active service after many years of dependence on the format, progression towards the USB memory stick has been rampant. With masses of storage, widespread adoption with various devices and of course zippy transfer speeds, the USB stick is the true successor. So how can they add to the wonders of a simple physical storage medium? By adding online storage it would appear. This actually makes a lot of sense when you consider the additional features this provides. Not only do you have the physical stick itself to store your important data, however you also have access to a much larger storage space online. I have been experimenting with the YuuWaa Go 4GB USB Flash Drive that comes with an additional 20GB online file space, allowing you to backup, store and even share. When you first insert your new blue and white USB memory stick, the welcome screen prompting registration of the device over the Internet appears. This is purely optional and if you only require the use of the physical stick itself, you can leave this area and continue as you would any other similar device. If however you want the benefits of online storage (which I will explain in a moment), you will need to fill in a few details such as your desired password, email address and a product registration number that is included within the packaging. Once you have completed the registration process, the YuuWaa USB Flash Drive will automatically backup any data you have on your USB stick to your online storage area (or their funkier description of ‘Digital Data Universe’) when you first insert the device (may require permissions on Windows Vista / 7). If you ever misplace your USB stick at the crucial moment or worse completely lose it in the same void those missing socks are rumoured to dwell, your data can still be retrieved by visiting the YuuWaa website and downloading the recovery tool. This is surely a welcome feature and will ease many of the tensions your typical traveller may have be they a student, employee or even for use around the house. It is amazing how many USB memory sticks you can lose at home, never mind when you are out and about in the wider world. You can also backup the stick manually if you so wish, by using the YuuWaa application that is visible in the Windows Taskbar. Your online space isn’t just reserved for backing up your USB memory stick and can be utilised for any files or folders you wish to store there for later use. As long as you have access to a computer connected online, you can login and gather your data. In this instance even if you have a backed up USB stick filling 4GB of your Digital Data Universe allocation, there is another 16GB free to play with. You can browse your computer’s storage devices and then drag and drop any files and indeed whole folders between your computer and your online Digital Data Universe and of course vice versa if you wish to log onto another machine and retrieve the data. Last but not least you can share your files to a specified contact, appearing on a grouped list you can create using their website facility. When dragging and dropping your file(s) selection over a contact name, a prompt will appear and when you are happy, an alert via email containing a direct link will allow your family member, friend or colleague access to the information you wish them to view. You can even add a password for the more cautious among us. Online storage is available free for the first 6 months and when this time limit has elapsed, you may wish to continue the service for a respectable fee (currently just under 10 Euros for an additional 6 months). Obviously this is completely optional and no payment information is taken when you first register, so no need to worry about any hidden surprises when the freebie is over. The USB memory stick may have actually had a glimpse at its future demise with the possibilities of online storage glaring with possibilities. One day maybe all our document, photo and even video storage will be online and todays physical mediums will be a thing of the past. Until that day the USB memory stick serves its purpose well, however we can now also benefit from a co-operation between the two worlds. 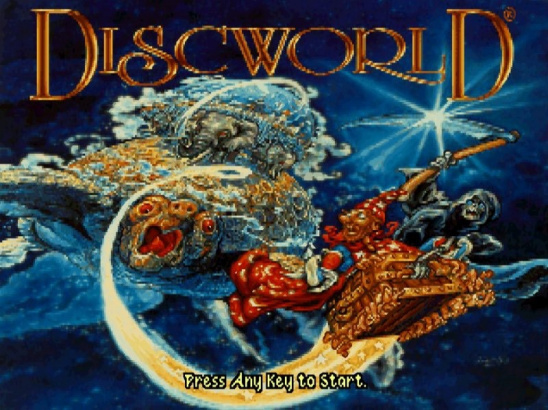 Next → Discworld Classic Point and Click Adventure – Did You Get the Number of that Donkey Cart?